Blu-ray Toolkit provides the best and complete solutions to all your Blu-ray issues with all DVDFab Blu-ray options in it. It's a perfect combination of Blu-ray Copy, Blu-ray Ripper, and Blu-ray to DVD Converter. 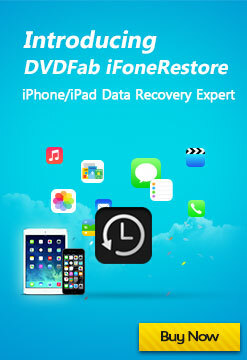 Versatile with all functionalities of all DVDFab Blu-ray apps remained, yet money saving. Looking for an easy way to tack care of all kinds of your Blu-ray issues just with one app? DVDFab Blu-ray Toolkit is just the very tool and solution. With all the powerful functions of Blu-ray Copy, Blu-ray Ripper and Blu-ray to DVD Converter combined altogether completely, DVDFab Blu-ray Toolkit can help you copy, rip, and convert any Blu-ray any way you like. DVDFab Blu-ray Toolkit includes all DVDFab Blu-ray apps in it. They are: Blu-ray Copy, Blu-ray Ripper and Blu-ray to DVD Converter. Particularly, all these apps are put together in a way that every single functionality and feature is remained completely and fully with nothing lost or cut off. 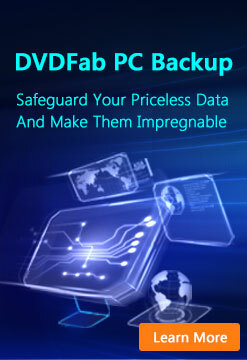 It's true that DVDFab Blu-ray Toolkit is powerful in its capabilities, however, it's still money saving. It will save you 50 US dollars for lifetime subscription. The "Blu-ray Copy" option of Blu-ray Toolkit can help you freely copy any Blu-ray into any blank BD, even DVD (remaining Blu-ray format), or onto the hard drive on your PC for playback or backup with various copy modes. The “Blu-ray Ripper” option then rips and converts any 2D and 3D Blu-ray to various video/audio formats based on your specific needs, for playback on various 2D and 3D devices. Yes. Just as what you think from "Blu-ray to DVD", this option helps out to convert any Blu-ray to DVD-Video disc, for playback just on DVD player. A fastest speed is ensured with batch conversion, multi-core CPUs, and the newest NVIDIA CUDA technology supported, along with homebrew Lightning-Recoding used in Blu-ray Copy which can gain speed to a large extent under certain conditions. Besides the speed, Blu-ray Toolkit performs great in output quality, and you will be satisfied and pleased with the superior audiovisual effect. The intuitive UI can lead you through the whole operation even you are totally new at this; you can easily choose a profile among all optimized and preset ones and have no need to make any changing; you are free to set video/audio parameters and edit video effect if you want to change the default settings while with the help from the real-time title preview window; the detail information of the progress can be viewed when Blu-ray is being converted, along with corresponding pictures from the source movie; the built-in codec will never clash with your existing operating system; and there are also many other conveniences.